The Staff really is nice and helpful, they give you information and help for motorbike rental. Such a nice place for couples with/out kids. Close to secret beach. Really calm even if the beach in front of the hostel isn't clean enought. Whatever is plenty of nice beaches really close. I recommend truly! Wish there was a sandy beach, but in walking distance of a sandy one. Staff were great very friendly and helpful! 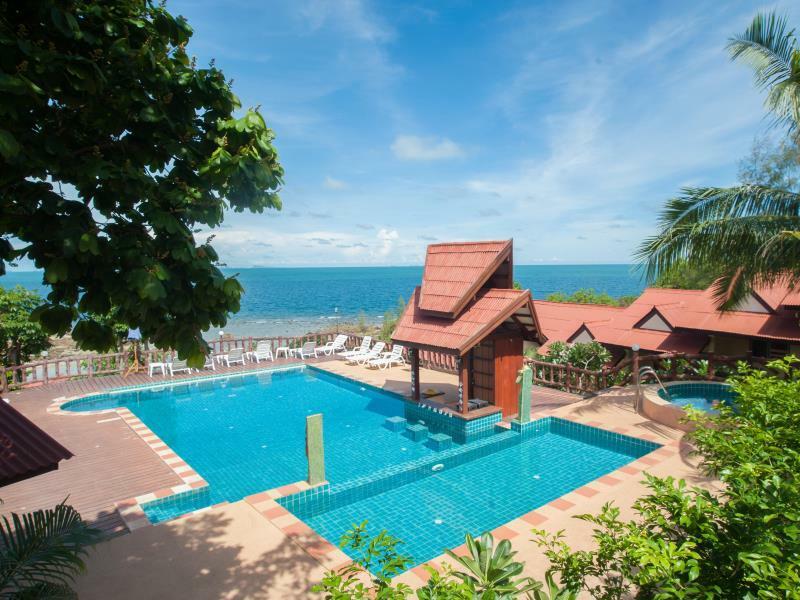 My fiancee and I arrived to Niramon Resort for a quick getaway on Koh Phangan. Many of the other resorts in the area were booked, so we took our chance with Niramon. Overall, the value for the price seemed fair. The location of this hotel is truly beautiful, and the pool takes full advantage of this beauty. The room was big and comfortable. The only thing I would have liked more is for the AC to be stronger -- it felt it was too weak to cool the room below 26C. We visited Koh Phangan during the hottest time in Thailand, so perhaps that had something to do with it. Overall, our stay was satisfactory. Only the rooms at the beach are great, but expensive. Staff is kind. The room is not cleaned during our 5 night stay, we had to change our own towels. Pool is nice. Our stay was pleasant - this is a very quiet area and quite a distance from Thomgsala, Ban Tai and Haad Rin. I would only recommend staying here if you feel comfortable on a scooter, because it's not within walking distance of many shops, etc. We tried Snorkeling but the water was a little murky and there were not enough lights in the resort to lead the way down to our bungalow. Very dark! But on the one day that we stayed at home, it was very peaceful and the pool is nice and big. We didn't eat here at all so I can't comment on the food or prices. Very pleasant. Bathrooms were dirty. Wood Floors on bungalows are spaced so don't drop anything. Other than that nice place. Tons of mosquitoes at night. Boards on the floor of the bungalow had huge gaps so things can fall through to the ground below easily. Window panes didn't shut so the sea wind was blowing strongly all day through the window and I couldn't control it. No temperature control for the shower. Pool area was nice.